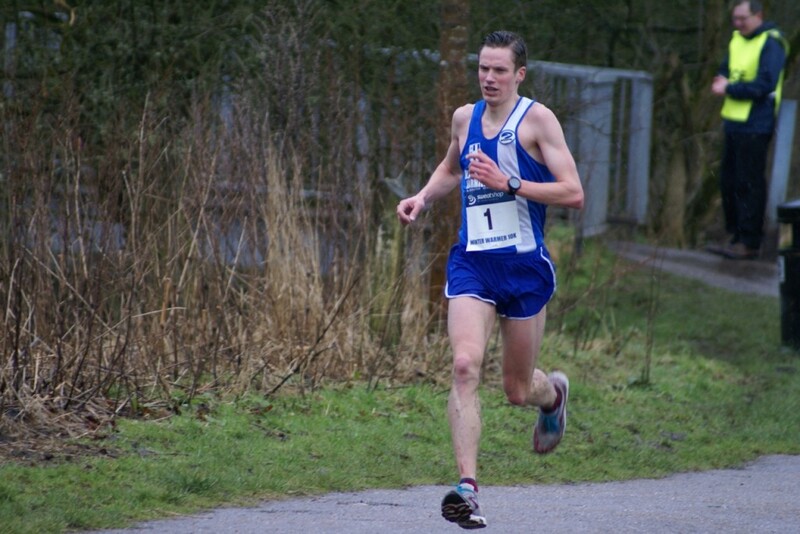 More success for Harriers athletes at the weekend. At the British European Trials and UK Championships held in Sheffield, four Blackburn Harriers were competing, Paul Bradshaw and Alison Leonard in the 800m; Luke Evans in the 200m and Holly Bleasdale in the Pole Vault. Paul Bradshaw, currently standing at 5th in the National Rankings with a time of 1:49.91, finished 6th in his heat in a time of 1:56.46 after front running the race. Luke Evans lying in 20th place in the National Rankings with a time of 21.76secs finished 3rd in his Heat in a time of 21.99secs. Alison Leonard won her heat, beating Marilyn Okoro into 2nd place in a time of 2:05.83, which was the fastest qualifying time of the day. On Sunday, she finished 2nd in the Final, winning the Silver Medal and just edged out for the Gold in a time of 2:03.88 which leaves her standing in first place in the National Rankings. Holly Bleasdale won her 3rd Pole Vault Competition in a row, with a vault of 4:77m, earning her the Gold Medal and moving her to 1st place in the National Rankings and 1st place in the World rankings. Talk about being on top of the world!!!! Again, the interview was carried out with Peter Matthews. Eleesha Charnley continued a rich vein of form with 15th place in the U11 Girls Race in a field of 43. backed up by new member Amy Davies in 21st place who also won in the last round of Sportshall. Eleesha went on to win the U11 Girls first prize in the Winter Warmer at Witton Park the day after and backed up again by Amy with another good run. Natalya Irvine had another solid run with 7th place in the U13 Girls Race, with Charlotte Taylor in 22nd place. In the Boys U13 Race, Jack Wilkinson continues to improve with a good 13th place, followed home by Rhys Charnley in 32nd. Cracking Races from Grace Handley 2nd and Deni Impett 4th in the U15 Girls race, showed how really competitive these girls are. Grace currently stands in 2nd place in the 5 fixtures to date with Deni in 3rd place. Byron Abbott with another good run placing 6th in the Race is now in = 8th place overall in the U15 Boys standings. Morgan Philips has had a really solid season in the Mid Lancs XC League this year – his first – and ran well again in a really good Race to finish 16th. Back in earnest competition is Helen Leigh, finishing in 8th place in a field of 109 Senior Women. New member to the Club Christopher Davies continues to improve, finishing 56th in the Mens Senior Race in a field of 193 runners. Paul Wilkinson and Richard Taylor, both of whom competed in the Winter Warmer 10k the day after also ploughed through the Lancaster mud. Ben Fish just missed out on breaking his own Course Record by 10secs. He finished a full 3 minutes in front of the 2nd athlete home and was backed up with fine runs from Brian Fogarty in 7th place (36:32); Jack Hindle in 10th place (36.56) and Mark Almond in 15th place (37.50). These four also won the Men’s Team Prize. In a field of 399 finishers, backing up the Mens Team winners were Chris Davies 39th (40.27); Danny Maynard 46th (41.23); Phil Morton 47th (41.32); Allan Hartley 54th (42.03); John Cookson 110th (45.26); Richard Taylor 119th (45.46); Paul Wilkinson 141st (47.00); Holly Ballantyne 169th (48.15); Jacinta Davison 180th (48.57); Jan Buckingham 254th (53.54); David Billington 286th (55.34). Katie Buckingham was another winner for the Harriers on the day finishing 1st Junior female in a time of 45.39. The Harriers Women’s Team finished 3rd with daughter and mother combo, Katie & Jan Buckingham; Jacinta Davison and Holly Ballantyne.